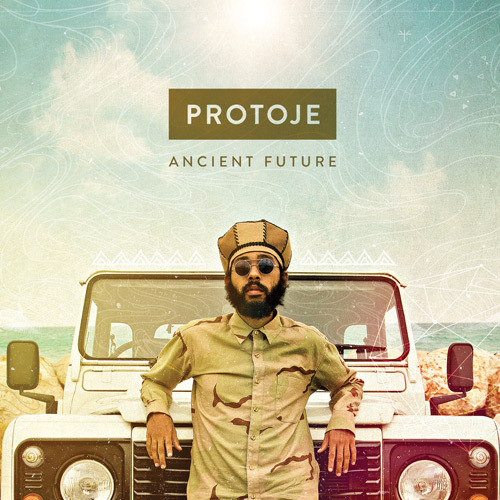 Protoje is one of the few modern story tellers who deserves to be called a Griot. The above definition describes a selected group of people who enjoy high prestige in their cultures. Griots are invited to important events such as marriages, annual harvest celebrations or the birth of a child to narrate in their songs and stories the history of the group they visit, keeping it alive and passing it on to the next generations. Protoje, in my humble opinion, is one of the few modern story tellers who deserves to be called a Griot. With the feverishly anticipated album Ancient Future, he continues his tradition of releasing intelligent lyrics on innovative riddims, enwrapped in a sound that unfolds its magic the more you listen to it. Honestly, every time I press play on one of the eleven songs included, I discover another layer, little sonic details that have escaped my attention before. It might thus be far too early to write this review, as I haven't reached the bottom of these complex tracks yet, but then again, why shouldn't you join in the quest? 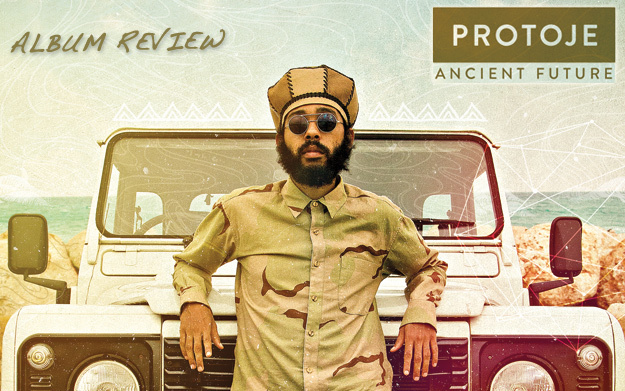 What becomes clear is that the present round, produced by Winta James for Overstand Entertainment and Protoje's own label In.Digg.Nation, feels like a homecoming, like the way his music is supposed to sound like. "Feel free to get lifted, young, fit and gifted, as we gather to take part in this ancient tradition." are the words introducing Bubblin', a tune that perfectly captures the concept of Ancient Future. Originally released by Zap Pow in 1978, it contains a chorus sample of Beres Hammond, and with his lyrical prowess and the shout-out to fellow artists such as Jah9, Protoje easily closes the circle and transports the track to the here and now. 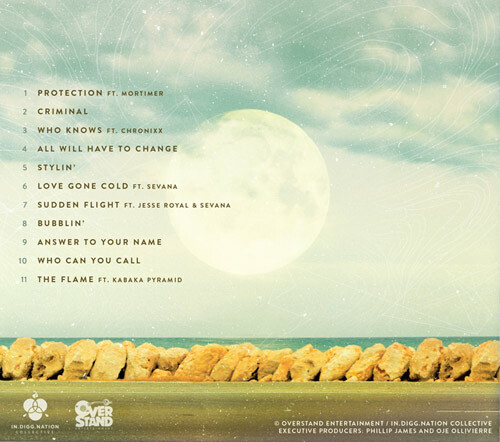 Protection is the track the album actually starts with. Dominated by the clear simple sounds of a chiming keyboard and a heavy bass, featured artist Mortimer takes "a vow to protect my own". With a certain melancholy scratch in his voice it is a perfect balance to Protoje's powerful directness. Strength for the wise and protection for the meek! In his unimitable laid-back style, the Griot proceeds to sing his heart out in songs like Criminal, the Chronixx-feature Who Knows (which needs no further mention) or All Will Have To Change. The latter is a global wake-up-call, especially for people who are quick to point their finger at others. We all have to change! In a recent interview with Riddim magazine, Protoje said that he decided to not sing about anything that doesn't concern him personally, and thus Stylin' might be his way to come to terms with a relationship gone wrong. "Some things are just too hard to forgive." Another heartache-song, Love Gone Cold clearly nods to the mainstream. With Sevana he introduces a promising protegé (with whom he already produced the single Bit Too Shy last year), and because her soulful voice fits well with Protoje's own crisp singing, she is heard again alongside him and Jesse Royal on Sudden Flight which might ring a bell, riding the Gunshot Riddim. Again and again, the artist thus includes more or less ancient material in his future-oriented tracks. Answer To Your Name, for example, is a wonderful remake of a Prince Buster tune. Lyrics contribute to this intricate connection of past and present as well: Satta Massagana is mentioned, Jamaican folklore narrated, biblical passages evoked (in Who Can You Call, for instance) - lyrics that run deep! The Flame is the closing track, and together with buddy Kabaka Pyramid, Protoje keeps the fire burning and leaves us with the felt certainty that, very soon, more is to come, has to come! To cite the Griot once more: "I feel like I could just keep on talking about positive vibes and the energies and this and that..."
You know what? Please do! As long as the outcome of your linguistic expression is an album such as Ancient Future, you'll have people all over the world hanging on your lips, Mr. Griotoje!